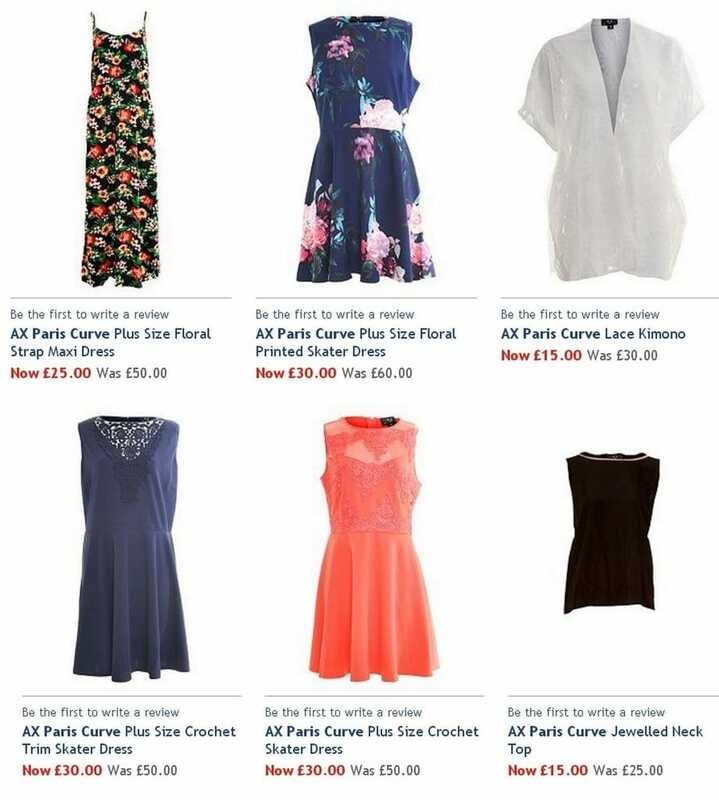 Looking for something special and have the feeling that all the beautiful styles are only for slim ladies? Then there is a simple way out – browse the collections by AX Paris Curve and choose, what you really like and not what you are forced to purchase. If you want to brighten up your summer or spring wardrobe with something stylish and unexpected, pay attention to fabulous scuba skater dress in a gorgeous navy floral print. The concealed back zip fastening making the process of dressing easier and at the same time contributes to perfect fitting to the figure. It is sleeveless and with rounded collar. The composition 92% Polyester 8% Elastane is perfect for warm time of the year. If you are not an admirer of floral prints, then there is this fabulous navy textured skater dress. The dress features lovely crochet detailing over a V-neckline and a concealed zip at the back. It is sleeveless and with rounded collar. Don’t concentrate only upon dark colors, having a nice shape doesn’t mean limiting yourself only to this choice. Peach pink dress with crochet detailing to the front and a sweetheart neck in scuba fabric this is a cute and modern take on the skater dress. Reveal your beauty and individuality in the stunning maxi dress with crochet lace detail. It looks sophisticated and glamorous. For additional comfort there is a slightly elasticated piece in the back part. The front part is made exactly to underline you shape and feminine figure. This is a maxi dress, this length never becomes unpopular. At the same time it makes your shape longer and more attractive. It is sleeveless with rounded collar. Made of 100 % polyester, it is comfortable to wear and easy to take care of.